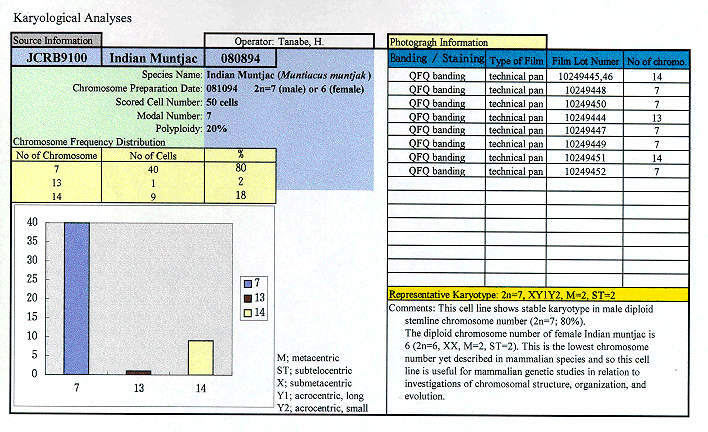 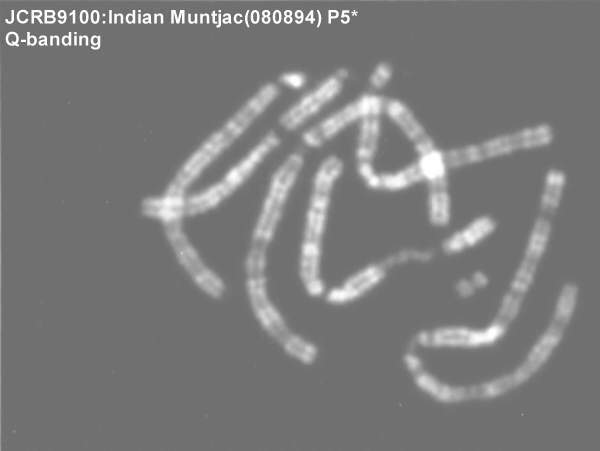 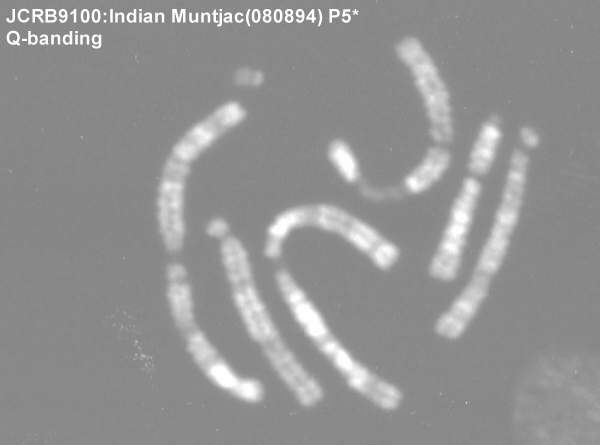 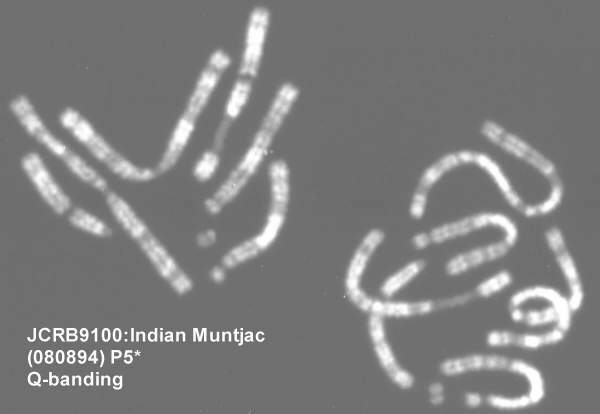 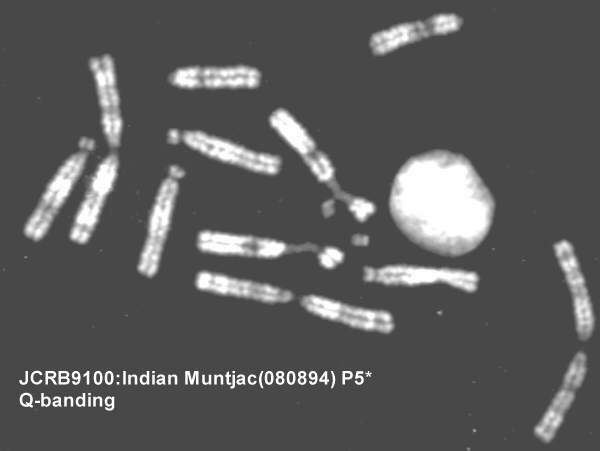 Indian muntjak cell line, a primitive deer. 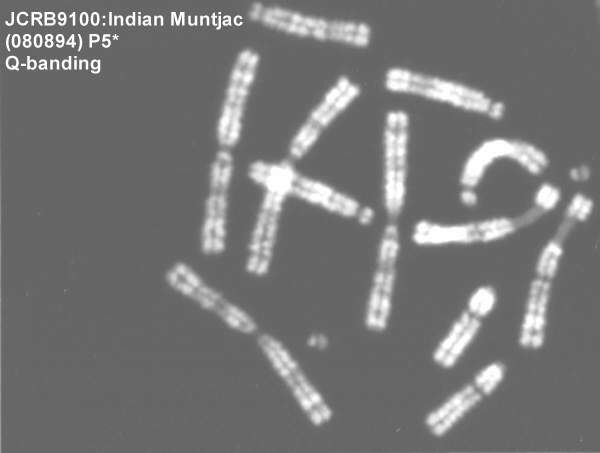 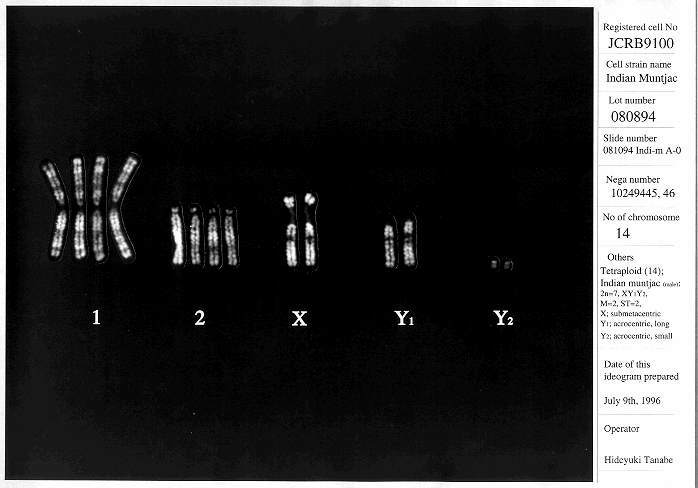 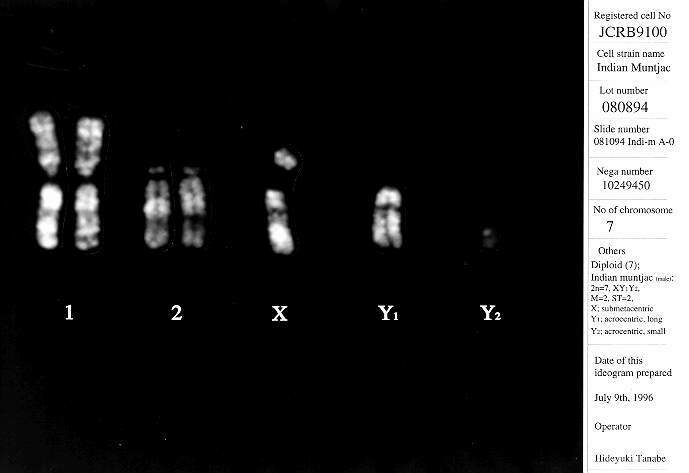 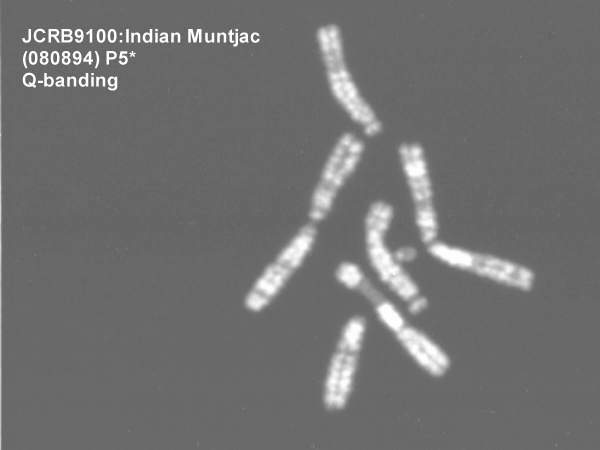 Muntjak is a primitive deer with diploid chromosome number of 7 in the male and 6 in the female, the lowest number yet described in a mammal. 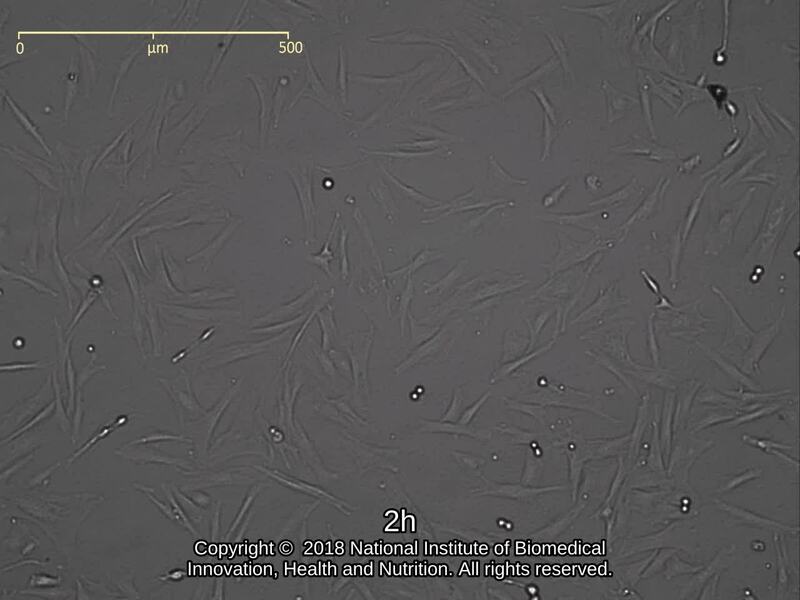 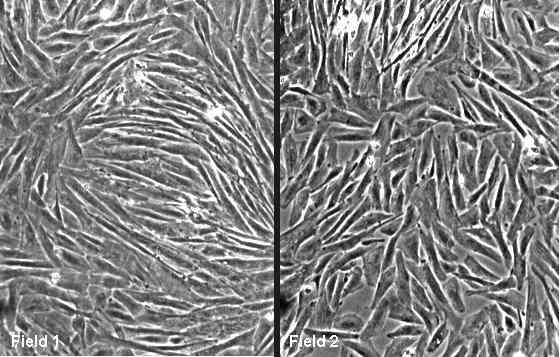 Ham's F10 medium with 10% fetal calf serum. 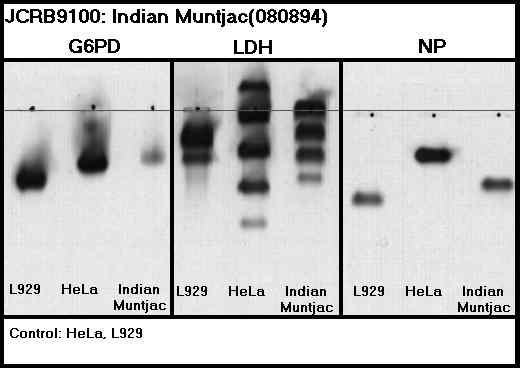 After washing cells with PBS(-) once, cells were treated with 0.25% trypsin & 0.02% EDTA (37C,5min). 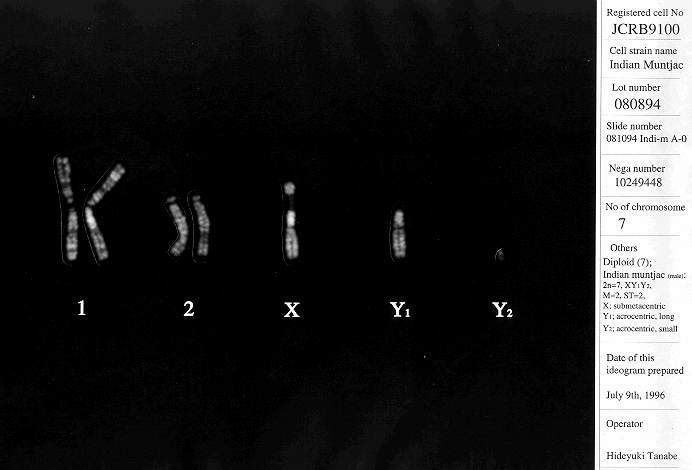 Under examination. 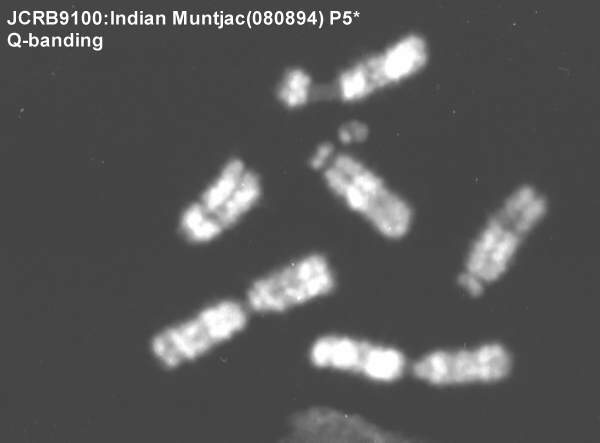 Cells at *P5.